Comet C2013 US10 Catalina has been steadily brightening as expected and is on the brink of naked eye visibility at magnitude 6.5. Easily visible in binoculars, its a case of so far so good for this comet as it continues to race further toward the inner solar system. It is expected to reach peak brightness sometime in late November for Southern sky observers. 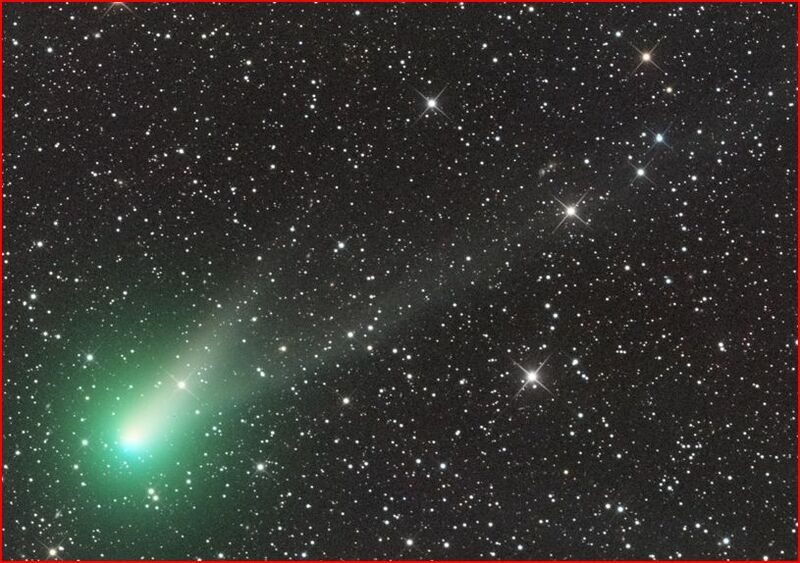 The comet will however quickly head in to the Northern sky around mid-December. In the above image taken by Ian Sharp in mid-August clearly shows a green coma and two tails.